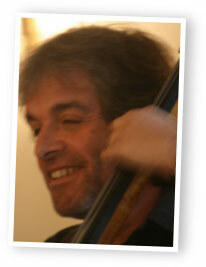 Simon is also well-known as a Double Bass player. A graduate of the Guildhall School of Music, he joined the Bergen Philharmonic in Norway before spending 10 years in the London Philharmonic during the Haitink, Solti and Tennstedt years. Since the early '90s, Simon has been in constant demand for freelance orchestral and commercial work, playing on countless Film & TV soundtracks, Opera and Ballet performances, concerts and records, both classical and pop/rock. Among all his other activities, Simon also teaches the Double Bass at Harrow School.